Summer and ice cream are my favorite things! 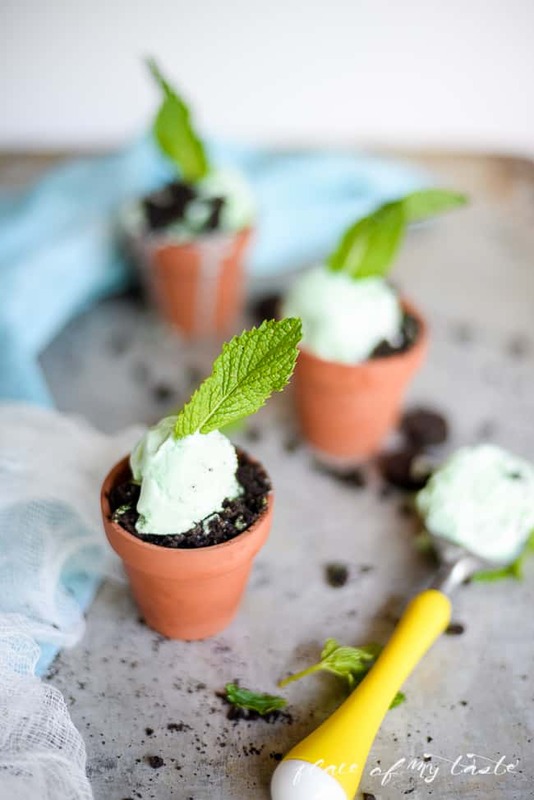 These super cute Mini Mint Chocolate Chip Ice Cream Planters are perfect when you have guest dropping in and you don’t feel like turning your oven on to make dessert. Hello Everyone! 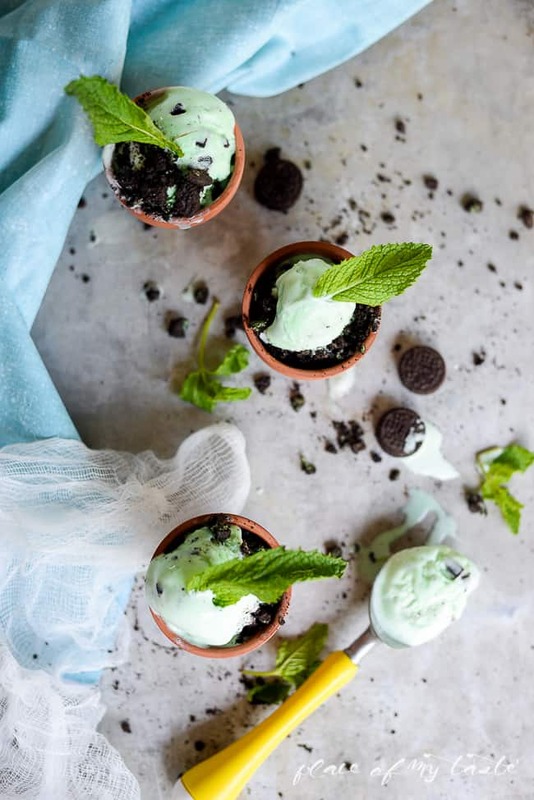 It’s Aniko from Place Of My Taste and I am so excited to share these cute little ice cream planters with you all today. 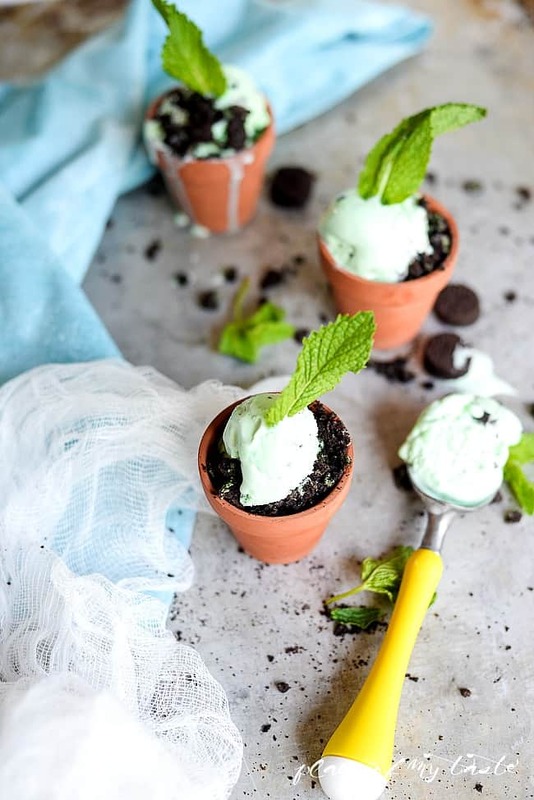 Summer is my favorite season and of course there is no summer without ice cream! How do you feel about it? I know you just nodded your head hard that you also love ice cream when summer arrives. Summer is all about being outdoors for me and I have to be quite honest that I don’t turn my oven on too often. I rather find other ways to create fun party pleasers. 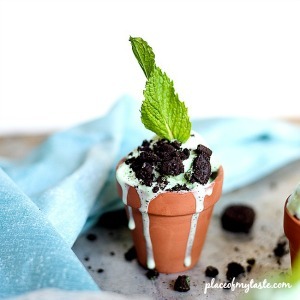 I crushed some mini Oreo mint cookies and filled the bottom of the MINI pots with it. I, then scooped ice cream on the top and sprinkled some more cookie pieces on the top of the ice cream. Embellished it with fresh mint leaf. Don’t you think it’s adorable? I absolutely love how cute they are and believe me your guest will love them, too! Looks just like a cute mini planter! Be sure to only prepare these pots when you are ready to serve them. 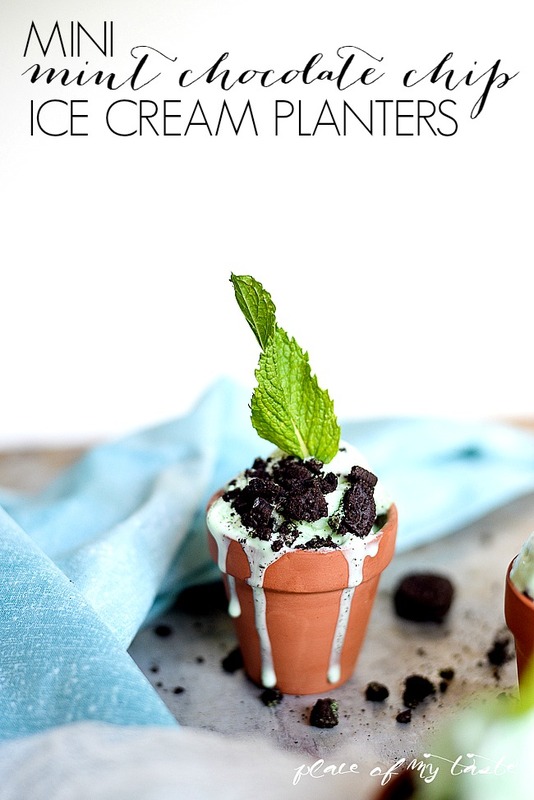 Ice Cream melts pretty quick:-) Hope I inspired you to make these cuties for your next party! 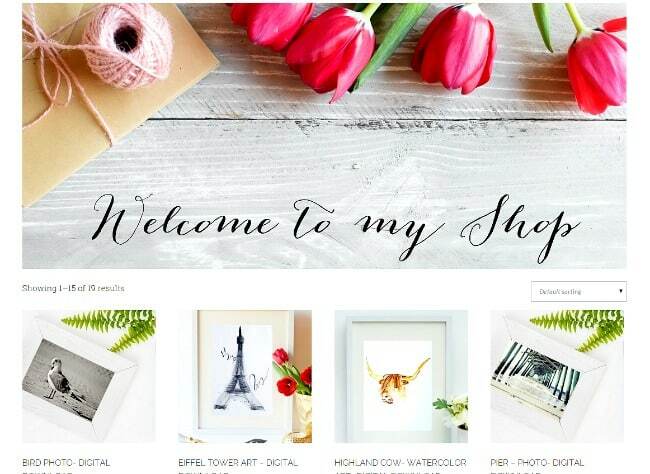 I wanted to introduce you all for my shop if you have not seen it yet. 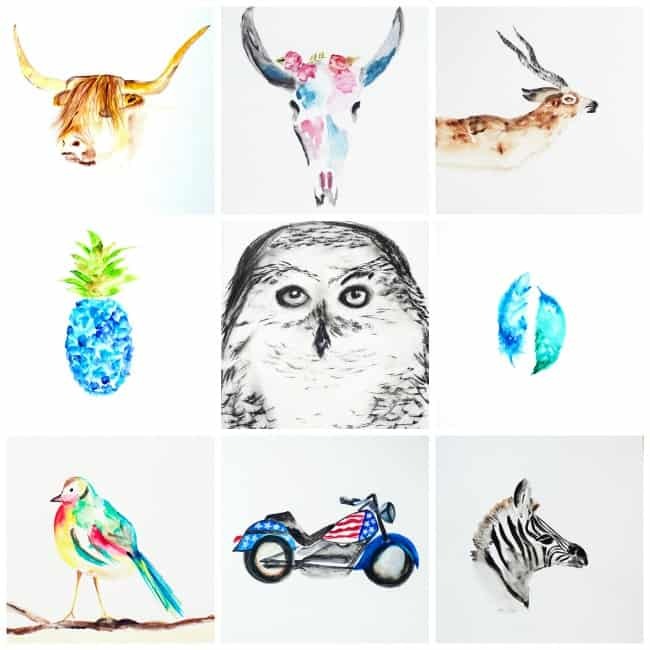 I love to create art and I love photography and I started my little shop where you can find some of my drawings and styled stock photography. 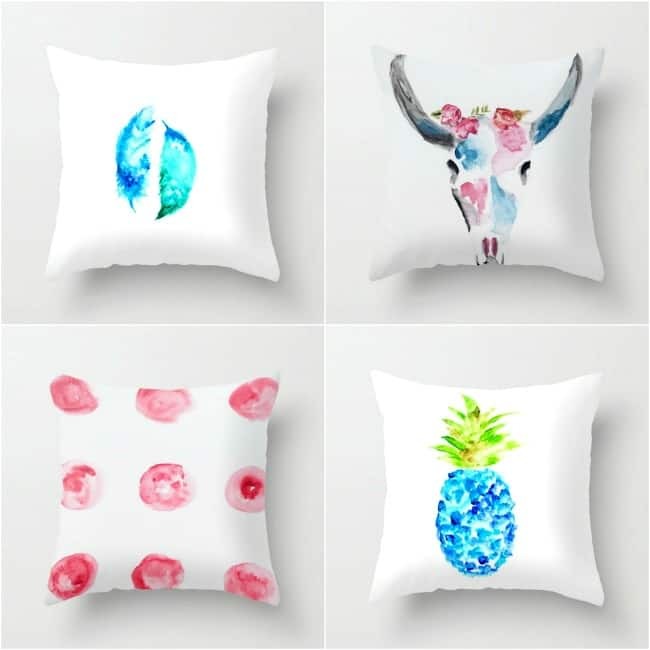 1 PILLOW and 1 DIGITAL ART WORK or STYLED STOCK PHOTOGRAPHY away for one lucky reader! a Rafflecopter giveaway Hope you all have a fantastic summer! I love the feather print. They are all so stunning! I love this! Years ago I taught a topiary class to a Garden Club in Glendora, California. They served something very similar to this for dessert. 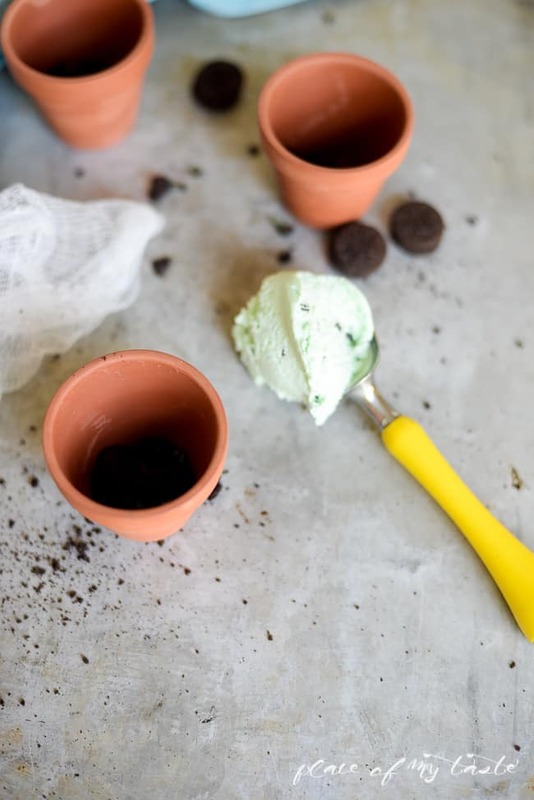 The only difference was they added a chocolate covered candy stick into the ice cream in the terra cotta pot, and then placed a ball of the mint chocolate ice cream on top making it a topiary tree planter.